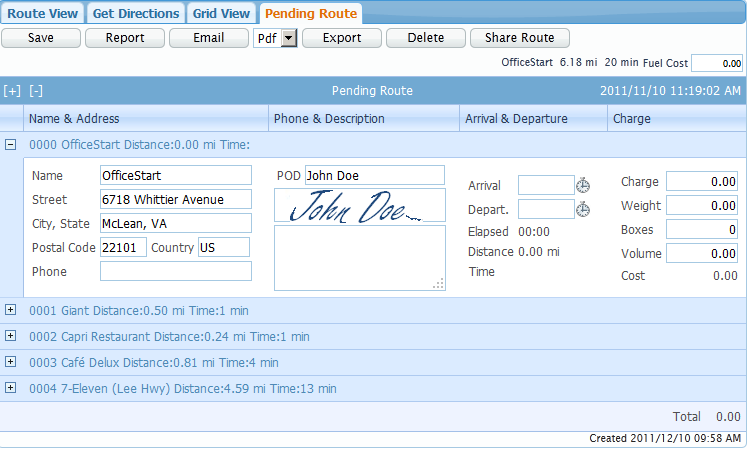 After building your route, go to GetDirections tab and click on SMS button. Check your phone for any new message. Click on the link provided. You should see all your stops. You may also save your route and later use the phone to see or even edit the stops. After building your route, click on Save Route button to save your route. Please note that you are not limited to a particular phone model. You may use any device that supports a full browser (iPhone, iPad, Android, Samsung, etc). 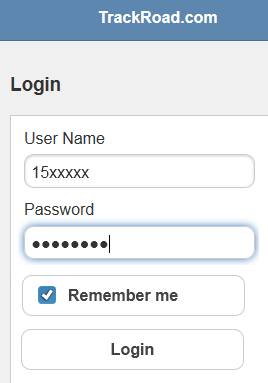 On your phone (or mobile device), open a browser and go to http://m.trackroad.com Sign in using the same user id and password you normally use with TrackRoad.com. Click on any routes to see list of stops for that route. 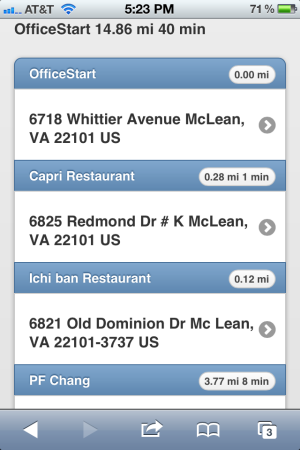 Then click on any stop to see full detail such as address, phone number, comments, etc. 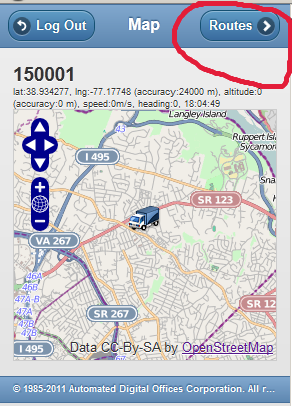 Go to the desired stop to view details. 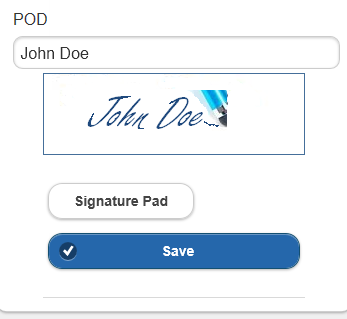 Click on Signature Pad to draw recipient's signature. 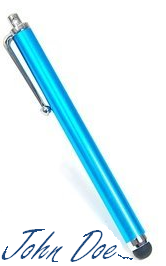 If you intend to capture a lot of signatures, visit a computer store and purchase a stylus for your device (less than $10). Stylus can make writing signature so much easier. 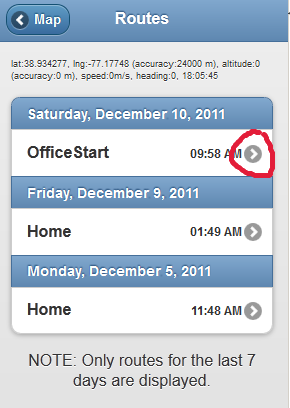 In TrackRoad.com, you can see fields changes made by remote devices immediately in real-time. You may also enter your cost and time stamp for each stop. Click Save when done to save any changes. Email or give access to your own clients to see this report online.